Youth crime equally known as juvenile delinquency is the participation in criminal activities by minors who have not attained the age of majority. Consequently, such behavior remains informed by various factors some of which can be alluded to as the cause of criminal actions (Goldson & Muncie, 2015). Common youth crimes include, for instance, underage drinking and smoking which are primary status offenses, violent crimes for instance robbery with violence and property crimes like burglary or theft. Despite the propensity of such crimes, little is known as to why young people turn to criminal tendencies. Subsequently, numerous theories have been postulated to explain the causes and core reasons as to why young people engage in youth crime. Thus, this essay endeavors to draw contrast and comparison between two such academic theories explaining youth crime; differential and labeling theories of youth crime. The differential theory of crime notes that the criminal activities among the youth are acquired through social contact. Therefore, criminal mind and behavior are acquired through contact with a society which in turn represents the people (McShane, 2013). Developed by Edwin Sutherland in an attempt to explain the reason as to why youths engage in criminal actions, the emphasis of the theory is that criminal behavior among minors is a learned behavior. Consequently, a person learns to engage in criminal activity by devoting most their time in the company of individuals who have committed crimes, and such individuals believe that the commission of such crimes is acceptable. The young person in such learning environment, therefore, indulges his attitude, motive and drive for such a crime through careful understanding of the crime from an offender. Labeling theory, on the other hand, notes that youth crime is a social construction, primarily by the ruling class. Postulated by Howard Becker in 1963, the theory is anchored on the tenets that the individuals in charge of the control of the society label young men from powerless class as deviant. Such labeling is however premised on stereotypical assumptions, and the effect is that young people of these social classes consider themselves criminals based on self-fulfilling prophecies (Kroska, Lee & Carr, 2017). Where the young person considers themselves a deviant as postulated by the ruling part of the society, they end up in criminal careers. Consequently, comparison drawn therefore between differential theory and labeling theory is that crime is socially construed and not innate. The different process that minors go through help in developing the criminal behavior, either from learning or from being labeled deviant. According to differential theory, the learned behavior among the minors who commit a crime is not inherited, and neither is it invented. However, the criminal nature remains informed by the social norms and values that they draw from whom they substantially are in contact with socially (Akers, 2013). As such, no minor is born with the techniques and skills relevant enough to commit a crime. Labeling theory equally draws on the same line by outlining that the deviant behavior is not inborn but instead created by the act of labeling. As such, every minor is born free of criminal behavior, and deviant behaviors remain non-invented. Eventually, this comparison indicates that the criminal activities amongst the youth are predicated on interactions with society and not personality as at birth. Subsequently, another comparison between differential theory and labeling theory is the legal connotation that represents their foundation. According to Becker, the construction of the rules informs the creation of deviant behaviors within young men (Sjöström, 2017). However, it is the reaction of the people towards a deviant behavior that sufficiently leads to the final formation of criminal behavior due to social dissent that hampers the self-concept of the young person. Similarly, differential theory notes that law defines crime despite being caused by social interaction with intimate and non-intimate interactions. Therefore, the legal consensus in determining the ground basis of crime remains similar in both theories. Eassey & Krohn (2017) notes that witnessing of criminal behavior does not inform the development of criminal behavior in young people. However, such actions are acquired through communication as the primary interaction process. Consequently, where a young person communicates with another person who has committed deviant action or is in the process of such commission, then such is likely to result in the formation of criminal behavior. However, the most robust interaction that leads to criminal behavior is the intimate relations between family members. Third parties and media on the other are less influential in developing such behavior. The same contrasted against labeling theory indicates that criminal behavior is instead a construction of the rules by the those controlling the society (Akers, 2013). According to Howard Becker, for instance, a fight in a low-income community is a measure of deviant behavior or delinquency. However, in a high-income neighboured, the authorities fail to classify the same as delinquency. As such, crime is developed not from the actions of youth but the reactions of others towards the initial action. In the differential theory of crime, the learning of the criminal behavior must include the acquisition of techniques and skills in performing the criminal activity. Additionally, the minor must also develop the motive and attitude necessary for the crime from the social interaction. (Gray, Durkin, Call, Evans & Melton, 2015). For example, where a young person interacts with a person who has been involved in murder through verbal communication, they are likely to learn the technique and motive employed by such person. However, the choice to engage in similar youth crime remains predicated on the social norms and values that such a young person appreciates. The norms are equally learned through verbal communication and different actions. In labeling theory, however, not every deviance is labeled criminal except for negative labels. The formulation of the rules of the society determines whether deviant actions are outlawed or not and represent the primary source of criminal behavior. Labeling theory provides for two types of deviance; primary and secondary. Primary deviance is emotive reactions to the behavior in question while secondary deviance denotes extreme case of social dissent as a reaction towards the behavior. The difference between the two is that in primary deviance the self-concept is minimally affected while in secondary deviance, the young faces ostracization from the social settings. The resultant effect of secondary deviant is that the young person, therefore, seeks such social recognition from groups that condone such behavior (Cullen & Jonson, 2014). An example is drawn from acts of criminal prosecution. Criminal prosecution usually causes stigmatization due to the negative label according to its association. The effect of such labeling is in the action of equating the past of an individual to current deviant to the point of creating a belief that the person is a criminal. Therefore, the stigma that young people face represents one means which informs their involvement in the crime. In contrast, no stigmatization in differential theory causes criminal behavior. Such is occasional on substantial social interactions that are informed by criminal behavior. Another critical contrast between differential theory and labeling theory is the consequence of the primary action. The primary action in differential theory is social interaction while for labeling theory is negative labeling (Akers, 2013). The consequence of social interactions does not necessarily lead to criminal behavior as the youth still has to weigh such an option based on social norms and values learned. Despite the acquisition of knowledge, technique, and skill for the commission of the crime, the same is restrained by social controls. However, negative labeling primarily leads to the development of criminal behavior, especially in secondary deviance. Tentatively, due to societal segregation, the push for the search of an accommodating group causes the young person to only associate with persons tolerant of such deviant behavior. Further, the aim of labeling theory is concentration on the reaction towards a deviant behavior committed by a young person. As such, there is unintended bias by academicians in the formulation of deviance as a source of criminal behavior among the youth. The concentration of differential theory, however, is twofold (Goldson & Muncie, 2015). First, the criminal behavior must be informed by social interactions of intimate relations although this must not always be the case. Secondly, criminal behavior only stems where the influence of communication is supported by lack of social norms and values for the offending young man. As such, there must be either a positive or negative social inclination for a crime to either result after the acquisition of knowledge, skills, motive, and technique to commit the crime in question. Tentatively, the differential theory provides that where the person in the association is the primary actor in the commission of a crime and believes that such a crime is acceptable, then the criminal behavior is likely to result (Cullen & Jonson, 2014). Nevertheless, for such criminal behavior to arise, then the benefits of the commission of such a crime should outweigh retraction from such conduct. The variation of interactions and learning occasionally differ although the propensity to developing criminal behavior is based on consistency towards exposure. The same does not apply in labeling theory where the propensity of labeling affects the individual only where it is negative to the point of inflicting fulfillment of self-prophecy. Additionally, deviance only creates criminal behavior where it is secondary, and there is social dissent towards the action of the individual. Conclusively, criminal behavior according to labeling theory is not learned but placed upon a youth due to societal reactions. Crime actions represent the expression of specific needs that an individual either desires or desperately need. However, not all crimes are based on needs and want, and at the same time individuals can aspire and achieve needs without resorting to criminal behavior. Such notion represents a primary tenet of the differential theory (Kroska, Lee & Carr, 2017). For instance, in a scenario where two young people desire money and gold and one resort to crime to satisfy such need while the other opts for legitimate means. Thus, the mere need for gold does not inform the reason as to why the other engaged in crime and the other didn’t. The answer in the scenario above is predicated on social norms and values that the two different young people hold and exposure to criminal activity. Consequently, crime results due to the pre-exposure to criminal behavior and subsequent ignorance of the societal norms and values. On the other hand, Labeling requires negative secondary deviance and social dissent towards the behavior for development of criminal behavior. An illustration stems where authorities treat similar behaviors in different social settings differently. Where for instance a particular kind of deviance is tolerated when unknown to the public although the society takes part in it secretly, such deviance when uncovered results in the development of criminal behavior (Akers, 2013). Such kind of deviance, for example, is taking of illegal drug substances. Although it is usually secretly undertaken, occasional public recognition of such deviance results in being branded criminal and subjection to public shame. It is such reactions that result in the development of criminal behavior in young people. The same becomes extreme where social dissent forces the particular young man to resort to groups that accept the kind of deviance that represent their common relationship. Lastly, a contrast can also be drawn from the impact of the primary factor in the commission of the crime. 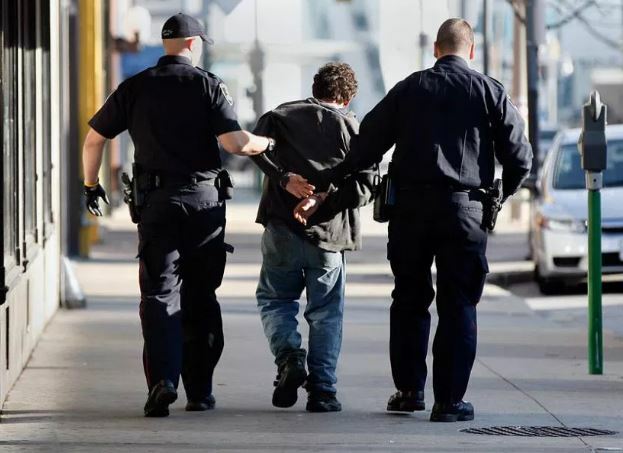 The differential theory contends that the impact of learning from known criminals who have accepted criminal behavior may or may not result in the commission of a crime (Goldson & Muncie, 2015). Labeling theory on the other hand points that the deviance if secondary and negative and therefore results in social dissent, then criminal behavior automatically arises due to identity problems. Thus, the probability of development of criminal behavior between the two theories varies among the young people. In conclusion, it remains apparent that the two academic theories endeavor to create rationale and motive for the rampant statistics involving youth crime. The differential theory alludes the criminal activity within the youth population to the social interactions that they undergo. Such social interactions are either from intimate relations that is family members and relatives or from non-intimate relations including strangers. Where the young person is exposed to interactions through communication from persons with criminal experience and such persons accepted the crime, then the young person is likely to develop criminal behavior. Nevertheless, for such behavior to ensue, then the young person’s adherence to norms and values within the society remains compromised. In labeling theory, criminal behavior arises among young people where deviant behavior is associated with social dissent, and such reactions create the segregation of the young person from the social recognition they require. Resort to groups that appreciate such deviant behavior automatically results in the development of criminal behavior. Conclusively, both theories provide that criminal behavior among the youth be socially construed and not innate or inherited. Akers, R. L. (2013). Criminology theories: Introduction and evaluation of youth crime. Routledge. Cullen, F. T., & Jonson, C. L. (2014). Labeling theory and correctional rehabilitation: Beyond unanticipated consequences. Labeling theory: Empirical tests, 63-88. Eassey, J. M., & Krohn, M. D. (2017). Differential Association, Differential Social Organization, and White‐Collar Crime: Sutherland Defines the Field. The Handbook of the History and Philosophy of Criminology, 156. Goldson, B., & Muncie, J. (Eds.). (2015). Youth crime and justice. Sage. Gray, A. C., Durkin, K. F., Call, J. T., Evans, H. J., & Melton, W. (2015). Differential association and marijuana use in a juvenile drug court sample. Applied Psychology in Criminal Justice, 11(1), 2015. Kroska, A., Lee, J. D., & Carr, N. T. (2017). Juvenile Delinquency, Criminal Sentiments, and Self-Sentiments: Exploring a Modified Labeling Theory Proposition. In Advances in Group Processes (pp. 21-47). Emerald Publishing Limited. McShane, M. (Ed.). (2013). An Introduction to Criminology Theory. Routledge. Muncie, J. (2014). Youth Crime. Sage. Sjöström, S. (2017). Labeling theory. Routledge International Handbook of Critical Mental Health. Did you find any useful knowledge relating to youth crime in this post? What are the key facts that grabbed your attention? Let us know in the comments. Thank you.